HomeReviewBook ReviewON THE BOOKCASE – STEP TO IT! ON THE BOOKCASE – STEP TO IT! Our On the Bookcase series provides snippets of the books I’m reading and loving at the moment with Hachette Australia. Should a particular book tickle your fancy, you can click on the book images below to read more about the book and its author. At the moment, I’m a little behind in the book review game. As in, I really need to now find the time to write up all the reviews and get around to reading the books currently sitting patiently on my bookcase. I’m hoping my reading and reviewing will eventually evolve into a monthly addition to our existing lineup here on AMC. Before I started with all this online shenanigans, I use to read one to two books a week. It was my TV time. My escapism. My reward at night for getting my three under three girls tucked up in bed asleep and the house resembling some sort of order, especially when hubby was out at sea with work for extended periods. Of course, the online shenanigans resulted in more work than I could handle and eventually the book reading for pleasure made way for blog reading and all things social media. For the past two years, apart from one or two novels and self-help guides written by friends, the only books I’ve picked up were in direct relation to my business diploma studies or non-fiction books I’ve reviewed here. I had plans to resume reading for pleasure once I completed my diploma. I even signed on to once again review the odd book. A way to force me back into the swing of things. I stopped short of joining a wine book club. In the end, it took slipping down tiled stairs and landing heavy on my back, wrist and elbow. Fracturing ribs and doing goodness knows what to my wrist, elbow and one kidney in the process. Timing wise, it was just prior to moving into our new (to us) home. My 24th move. A home we later found out had absolutely no phone or internet connection. So, following doctor’s orders of complete bedrest, I finally found the time and the inclination to get back into reading for pleasure. Of course, it’s not all pleasure, it never is around here, as I bring On the Bookcase back into the mix on AMC. So far I’m a total of 11 books in with another six patiently waiting for me. 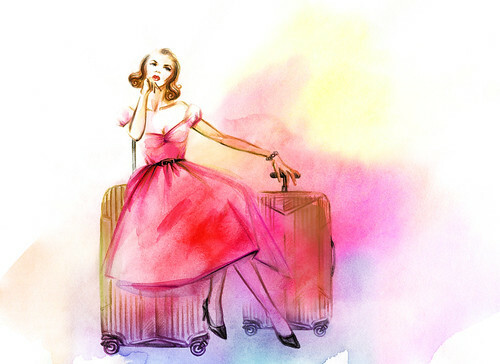 Today, I’m talking about the first five off my list… Her Mother’s Secret by Natasha Lester who I had the pleasure of meeting at one of her author talks promoting the book, The Summer Seaside Kitchen by Jenny Colgan, Saints for all Occasions by Courtney Sullivan, Tattertale by Sarah J Naughton and J.D. 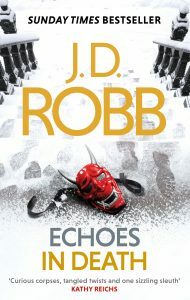 Robb’s latest number one bestseller Echos in Death. I was gifted an uncorrected proof edition of Her Mother’s Secret. As far as I could tell, there were only a handful of noticeable mistakes, the story and style of writing meant I wasn’t focusing on finding mistakes, more enthralled with the period, the people, the story and of course the secret. A secret that keeps you guessing to almost the last minute. I actually read Her Mother’s Secret in two sessions, just prior to catching up with the author at one of her talks promoting the book at my local library. It took me two sessions because my days of pulling an all-nighter and pushing all my other responsibilities to one side to finish a book, even one I’m really into, are well and truly over. I’m going to be brutally honest here and say I wish I hadn’t started back with reading, with this particular book. There are a couple of reasons why but make no mistake, I was really into this book! On finishing, I found myself wanting to delve straight back in or discover a sequel was just around the corner. That’s not to say the story leaves you on a cliff hanger. Far from it. I just really connected with the characters, the descriptive fashion and the love story itself but more to the point it was Natasha’s style of writing that had me captivated. I found it really hard to pick up another book and dive straight in after this one. I needed something to cleanse the palate before I could move on to my next book and the attending Natasha’s author talk at my local library almost helped. 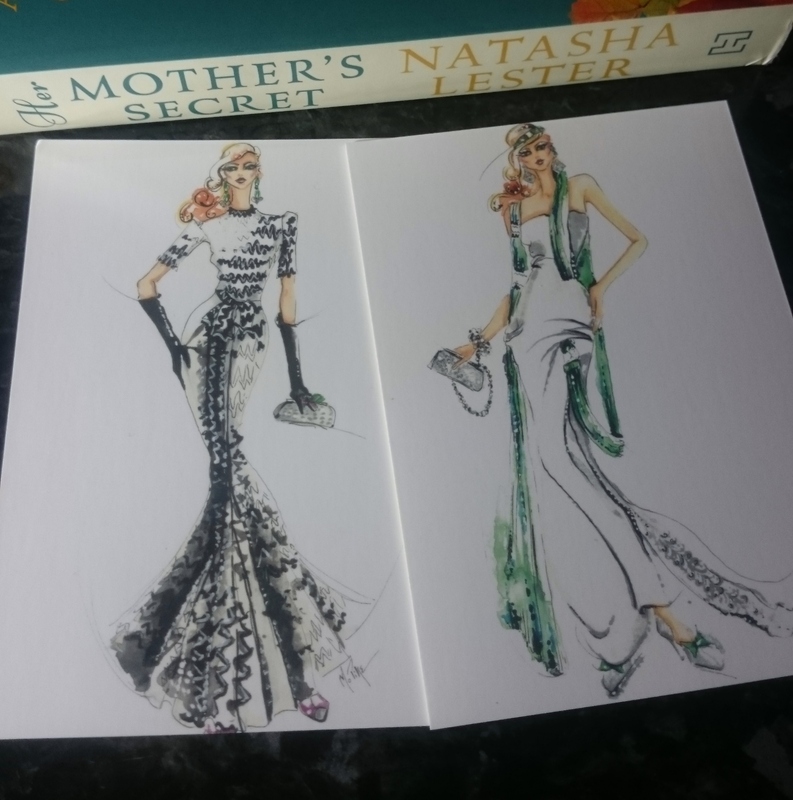 Natasha’s descriptive nature when it came to articulating the fashion throughout the book continued to intrigue me. I’m more of a visual person though, which had me secretly hoping to find a drawing or two throughout the book. There wasn’t but my disappointment was long lived and I was delighted to discover that Natasha commissioned one my favourite Perth illustrators Michelle Pike to bring two of the designs to life in the way of postcards. The designs were just as I imagined. Which got me thinking, wouldn’t it be wonderful if after falling hard for a book, you could jump online to meet the characters, catch a glimpse of the fashion they were wearing or the places they were living. The next best thing of course is meeting the author and hearing all about her writing process and the inspiration behind the book. A wonderful story in itself. 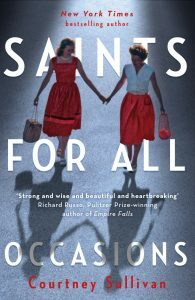 I loved this book so much, I gifted a copy to Cathy O’Brien (Life Through the Haze) to keep her suitably distracted following her recent surgery. I believe Cathy loved the book just as much as I did. I’m also looking forward to reviewing A Kiss From Mr Fitzgerald later in the month. Given my love for books, especially of the crime and mystery genres, you might find it strange that this is my first experience with J.D. Robb. I know I did. I was a bit hesitant given In Death is a long running book series written by Nora Roberts using the pen name J.D. Robb. The thing is, I’m a huge fan of Nora Roberts. I was intrigued how someone could pump out so many books, let alone number one best sellers in such a short time ( x amount of books in x amount of years). I was also keen to put the book and the series to the newbie test. To see if you needed to read some, if not all, of the back catalogue to get up to speed with this series or if you could just pick up the latest edition and find yourself hooked. Hook, line and sinker springs to mind after reading this book. It may have taken me a little while to get up to speed on the cop lingo and what I’m assuming are ongoing characters, as well as the futuristic world but it didn’t detract from the story. Being a newbie to the series, I’m not sure I’m qualified to critique this book completely but I did feel the book stopped short and lacked a lot of suspense as a result. Just when things were getting more interesting, … I almost felt the book ended, ¾ through, just as I was really getting into the story. I suspect, those that aren’t new to the series wouldn’t have felt this way. This would have been an ongoing adventure, in a long line of adventures and a testament to .… and her stellar crime solving skills. I must confess I attempted to read this book on two occasions and couldn’t get more than a few pages in each time. The sentences and descriptions were incredibly long winded and it all seemed far too chaotic for me. What’s the type-written equivalent of verbal diarrhea? Possibly that. The thing is, my head space following the move and fracturing ribs in a fall was much like the descriptive start to the book, overly chaotic. Unlike myself, who just needed to clear my mind, the book was setting the scene, not necessarily setting the pace for the rest of the book. Thankfully. Surprisingly, on my third attempt and a few more pages in, something clicked and the more I read the more I was transported and wanted to keep reading. I also found myself wanting to get up and bake scones half way through and serve them with generous lashings of real butter and homemade jam. The Mure location, although fictitious and based on various islands of the Northern Isles really came to life for me. The further I delved into the book, the closer I felt to not only the location but the characters themselves and the more I wanted to escape to Mure and see the place for myself. Without wanting to issue spoilers (that’s not my review style), I found the love interests in the book far from predictable. Not far enough that they weren’t believable. Not close enough that we came anywhere close to the ending I imagined. The Summer Seaside Kitchen makes for the perfect holiday read. Not on holidays when you read it… I’m guessing you soon will be. Wow, what a nerve wracking ride this book turns out to be. 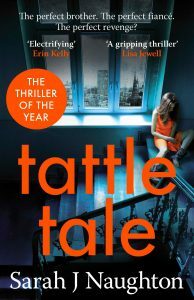 Tattletale is so far from predictable your seat, the one you’re sitting on the edge of for most of the book, will probably join you. Which makes no real sense at all, which is how I felt the first few chapters in. An interesting approach by the Author to introduce the characters back stories, can leave you initially confused and even when you think you’ve caught on, nothing is as it seems, especially the lead characters. I honestly found most of the characters hard to warm to and the structure of the book initially put me off. It’s not that sort of book though. You are going to find it hard to warm to the characters, you are going to feel ill at ease and a certain level of discomfort for most of the book. That’s the sort of book it is. A thriller. With a plot that thickens and twists in all the right places when you least expect them. Just how I like my thrillers to be. While I would prefer to resonate or at least find the characters somewhat palatable, I much prefer a gripping story line and a book I don’t want to put down. Having said that, you really do need to get through the first few chapters and confusion before you find your way and the book gets its grip on you. I completely devoured this book in two sittings. I would have preferred one but as I said earlier, those days are most certainly behind me. I’m almost convinced after reading Saints for all Occasions, I was an Irish immigrant in a previous life. From a personal level, there was a certain sense of familiarity, especially in terms of family dysfunction, scandals and secrets. I’m normally one to shy away from family dysfunction on the page or screen, no matter how good the story line, having lived through it but this book manages love, life, all the craziness in between and the themes that go hand in hand with dysfunctional family life well. Courtney’s writing style is easy to read and somewhat captivating. You’ll find this book hard to put down. What’s on your bookcase this month? Just a reminder, that if one book or another tickles your fancy, click on the image to read more about the book and the author. If you would like to be in with a chance to WIN this month’s mystery book prize click HERE!